POLSON - Mission Valley’s reputation for having high-level girls’ fastpitch softball was strengthened during last weekend’s Polson Splash Girls' Fastpitch Softball Tournament as several teams headed into the championship round. 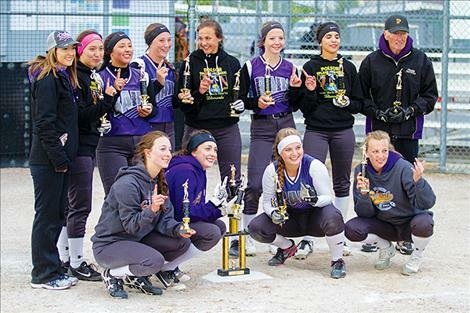 In the 10U, 12U, 14U and 16U/18U classifications, Polson had teams vying for championships in all four-divisions. Ronan had two teams in the consolation games. Thirty-two teams entered the annual tournament beginning on Friday. Teams battled each other to gain the best possible seeding for Sunday’s single elimination play. Event organizer Kelley Druyvestein used the word “excellent” to describe how the tournament went. “It was a great weekend,” she said. In 10U, the Polson Lil’ Lakers entered Sunday’s bracket play as the first seed going 3-0 in pool action. The Lil’ Lakers defeated the Emeralds and the Fury to capture the championship. 12U Ronan Mighty Maidens and Polson Purple Wave both finished pool action 3-0. The Mighty Maidens won their first match up in bracket action but fell in the second to MCM-Stewart. The Purple Wave defeated both the Sparks and Emeralds to advance into the championship game against MCM-Stewart. MCM-Stewart prevailed over The Purple Wave in the championship. 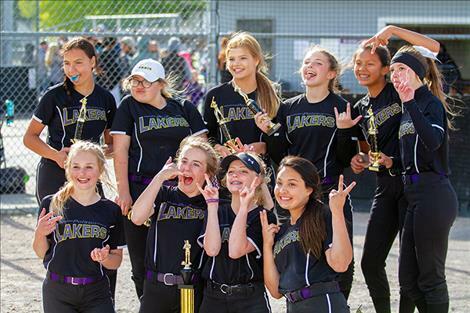 The Polson Lakers went undefeated through pool and bracket play to claim the 14U championship title. In the 16U/18U group, the Mission Valley Insanity defeated Libby for third place, while the Polson Purple Rain marched though the brackets defeating Frenchtown Fury 10-2 in the championship game.